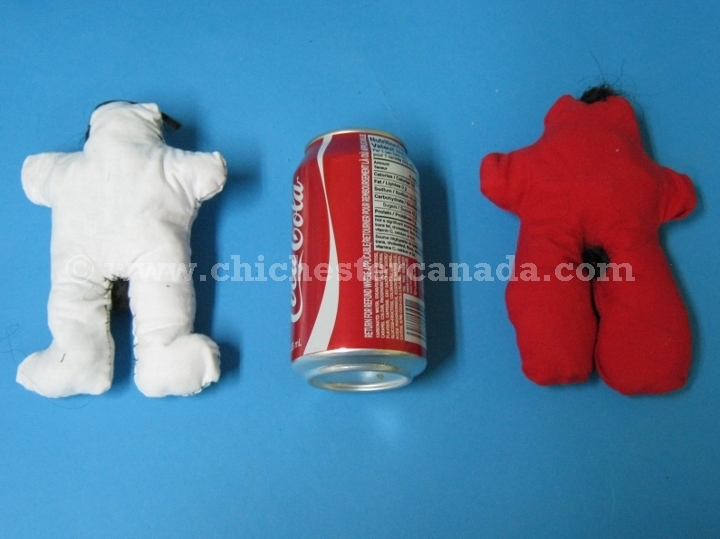 See a comparison of a Male and a Female doll and their back views. 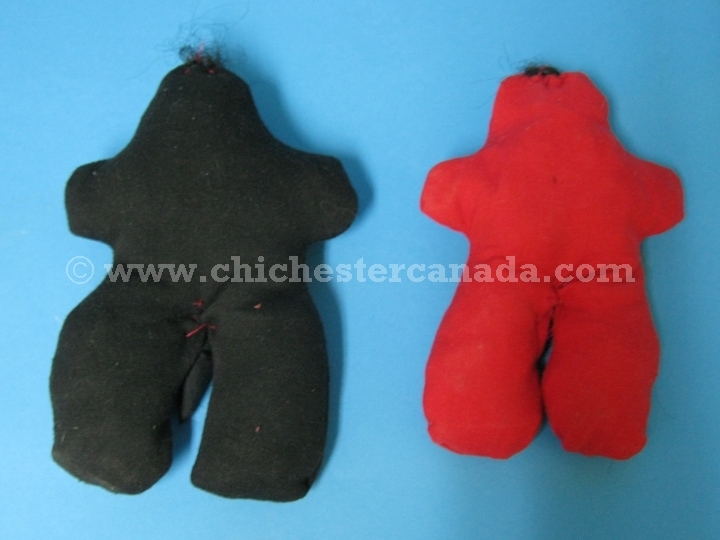 Widely used in various voodoo ceremonies, these handmade Haitian voodoo dolls come in red, black, and white. All dolls are made from cloth with hair of black fiber. The male dolls are recognizable from the female dolls by the cloth extension between their legs. A doll is measured to be 6" (15.2 cm) long, 4.5" (11.4 cm) wide, and weighs 0.1 lbs. (0.05 kg). There are two excellent books on Haitian voodoo that I can recommend. One is by Wade Davis entitled The Serpent and the Rainbow: A Harvard Scientist's Astonishing Journey into the Secret Societies of Haitian Voodoo, Zombies, and Magic. This book was published in 1985. Another good source is The Traveller’s Tree by Patrick Leigh Fermor. See chapter 11 in particular. The original was published in 1950 in England. The version I have is a reprint from 1986 that was published by Penguin Travel Library. You can most likely find copies of these books on ABEbooks.com or Amazon.com. My copies are not for sale. The most common spelling for this religion is voodoo. Other spellings include Vodun, Vodou, Vodoun, Vaudou, Vaudoux.